I live in Tennessee and I just love it here. I always say it is one of the greenest states but that also means that every spring, as everything bursts into bloom, the pollen count goes through the roof! Every spring, my son gets allergies. I think good indoor air quality is important for everyone, all of the time. When you have a family member that suffers from allergies, reducing air pollution in your home becomes a top priority and an air purifier for allergies is the best way. 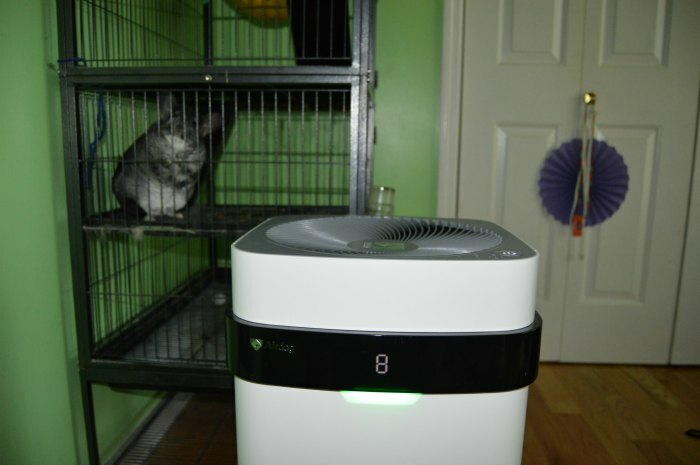 That is why I am so pleased that Airdog was able to provide an Airdog X5 Room Air Purifier to facilitate my review. What Does Air Purifier Do? The Airdog X5 Room Air Purifier works to filter out everyday air pollutants like smoke, dust, pollen, pet dander, and odors leaving behind clean, fresh air for happier, easier breathing. The Airdog X5 cleans out even microscopic particles down to 14.6-nanometers. For reference, most allergens and viruses are 30-nanometers so the Airdog takes care of those. The Airdog has been proven to remove 99.99% of bacteria, formaldehyde and other harmful elements from air. What Makes The Airdog X5 Room Air Purifier Different? First, the ionic wind filtration technology makes the Airdog X5 virtually silent. Pretty cool. Even cooler? You don’t have to buy replacement filters for this air purifier! Yes, that is pretty much the coolest feature around! No one likes having to spend time and money buying new filters all of the time. 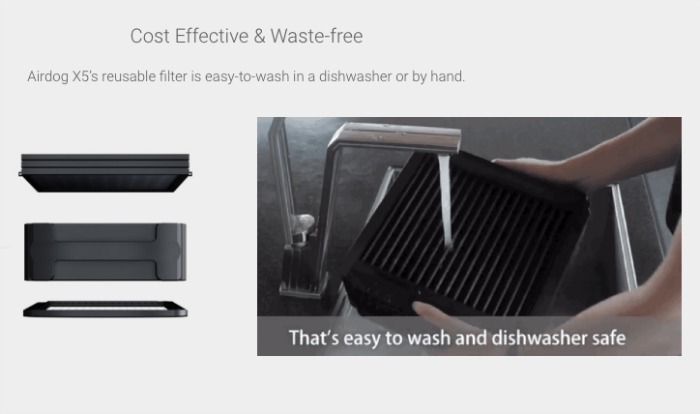 Airdog X5’s reusable filter is easy-to-wash in a dishwasher or by hand. The Airdog X5 consumes less than half the energy of traditional air purifiers with the same clean air delivery rate. You are going to love the energy-efficient and WASTE-FREE design of this air purifier that makes it a very eco-friendly choice. This is absolutely the best home air purifier I have ever had because it filters out so much (even microscopic particles) and it has such a great design. You can absolutely smell the difference in the air and you can also see the difference when you look at the unique real-time air quality level display. I got my Airdog in the mail and I quickly unpacked it. I then inserted the metal filter tray and plugged it in. It goes straight to work cleaning my air and gathering data to display the real-time air quality level. In about a minute it will display a number and corresponding light. There is a red, yellow, and green light displayed to let you know how your air quality is along with a number so you can watch it move in the right direction as the air purifier does its work. When I first plugged it in it was a green light and about a 30 number. The Airdog X5 works its magic pretty fast causing the number to drop down to about a 7. The X5 can clean a 300 square foot room in 20 minutes. When I put the Airdog in my daughter’s room with her chinchilla the level was a little alarming at a 57 but the Airdog had the air back in the green so fast. If you are the type of person that thinks, “Do air purifiers work?” I can tell you, the smell of the air in the room 30 minutes later was so fresh, and so clean! But it is not just about odor. It is about allergens too. I love to move the Airdog X5 from room to room because I just love the fresh air but my priority area is my son’s room. One day when I put the air purifier for allergies in there and turned it on, the light was red! So much pollen in the air! It makes me feel so good to know that I have this awesome solution to help with his allergies. Usually doing allergy season, he constantly has a dripping nose, which leads to a sore on his nose from wiping it so much. I notice that this allergy season, he is doing much better! It honestly makes a huge difference to his allergies. The Airdog X5 catches pollutants as small as 14.6nm (including bacteria and viruses) so he can breathe cleaner, healthier air and I love that. Are you the video type? Here you go! Are you the tech type? They have an app for that! (You don’t have to use the app if you aren’t the tech type!) The app is great for tracking air quality in your home or controlling the unit remotely. I 100% love my Air Dog X5 Room Air Purifier. In fact, I want to get one for my downstair too! 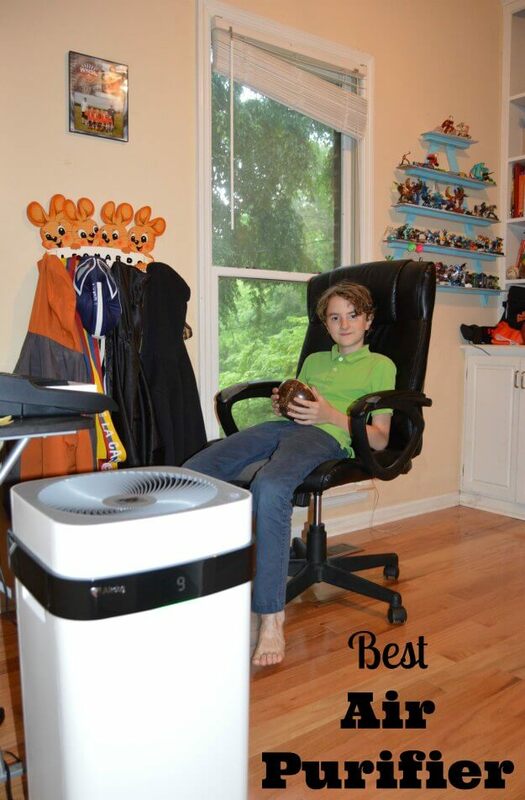 Out of all the air purifiers I have ever tested, it is the best air purifier for allergies. It has done a world of good for my son and it is a great natural way to fight allergies. Learn more or order yours at airdogusa.com. It is also available on Amazon- my affiliate link is below. Are you in the market for a room air purifier? Are you looking for the best air purifier for allergies? I hope you find my Airdog air purifier review helpful. 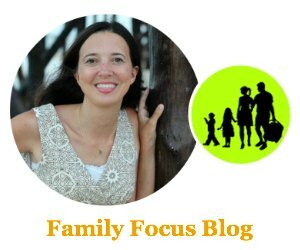 Please let me know if you have questions @familyfocusblog. I love that’s easy to clean. Some of them are pretty annoying to clean and maintain. This would be a nice gift for my husband for fathers day.